During the 1960s, hundreds of thousands of letters poured into to mail rooms at ABC, CBS, and NBC. Some complained about commercials or violence or controversial content. The networks took audience research seriously and used it to measure viewer reaction to programs in a way Nielsen ratings couldn’t. 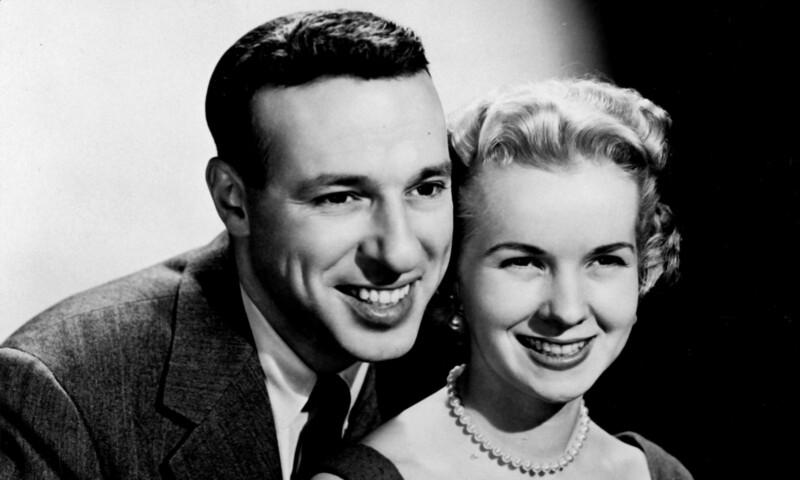 From the earliest days of television in the United States there were always those viewers who wanted their voices heard by stations and networks, just as they had with radio. So they would write letters. Fed up with violent content? Write a letter. Necklines too low? Write a letter. Necklines too high? Write a letter. Too many commercials? Write a letter. Letters weren’t the only way to contact stations or network. Viewers could call or send a postcard or perhaps a telegram. The letter was by far the most popular method of communication. Initially, there was apparently some reluctance on the part of viewers to actually respond to the programs they watched. 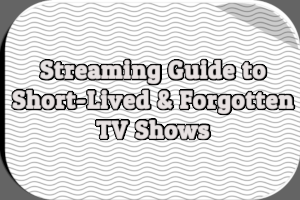 According to a May 22nd, 1949 article in The New York Times, “one of the characteristics of the television audience which is puzzling the television broadcasters is an apparent lack of reaction to programs as expressed in volume of mail” . For some reason, compared to radio listeners, early television viewers weren’t particularly vocal. The few letters the networks did received revealed that reactions to programming could vary widely by geography. For example, The New York Times revealed that one unidentified network, broadcasting solely on the East coast, found viewers had no problem with “a scene including the drinking of a cocktail.” When similar scenes were aired in the Midwest, viewers objected . Another network, the paper reported, worried that including the “sounds of a woman in labor” would be problematic and was surprised when it received no letters whatsoever . 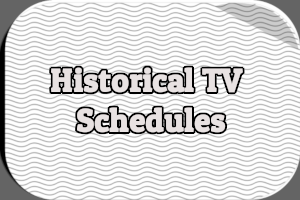 Throughout the 1950s, as television expanded across the country and grew increasingly popular, viewers likewise became increasingly attached to their favorite programs. In turn, the volume of letters received by the networks increased. While controversial comments made on air and popular actors and actresses earned their fair share of mail, it was the cancellation of programs or even the threat of cancellation that brought deluges of letters to network mail rooms. Read Save Our Show Campaigns Prior to Star Trek to learn how fans tried to influence the fate of individual shows by writing letters during the 1960s. The networks received a lot of letters addressed to specific personalities or performers. These were forwarded to their intended recipients or their studios/managers. Otherwise, every attempt was made to read each and every piece of mail received. The one exception were letters from clearly organized, large-scale campaigns, sent in huge numbers. Most of those who wrote to a network received some form of reply, even if it was just a form letter. ABC: Ellen MacKinnon joined the network in 1942 and by 1961 was the network’s supervisor of audience information . The New York Times reported in 1965 that she had two assistants, making the ABC operation the smallest of the networks . CBS: Mail received by CBS, after being handled by a five-person “audience mail department,” was forwarded to a specific division . Leonard Spinrad headed the department; its coordinators were Odessa Leggat and Lucille Chiapponi . NBC: Kathryn Cole joined the network in 1942 and became manager of audience information in 1953 . She had eight assistants in 1965, two of which worked solely with letters sent to The Today Show . According to Cole “the important part of the job is evaluating viewer reaction and getting that reaction to the right people” in programming and standards and practices, for example. It helps them keep their fingers on the viewers’ pulses.” Letters to each program were collected and separated into three categories: Approval, Criticism and Inquiry, with additional “critical” and “industry” breakdowns . 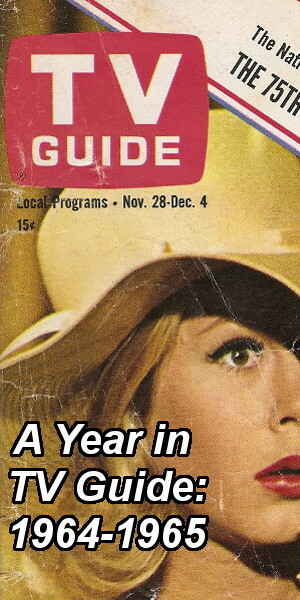 An article published in the September 1961 issue of Television Magazine, discussing the mail sent to networks, noted that the majority of letters were about programming and that very few — perhaps less than five percent — had to do with the tough issues of violence on television, the impact of television on children or the role of pay television. Each of the networks had some sort of oddball folder or box in which the strangest letters were filed . For example, ABC’s Ellen MacKinnon was once sent 12 sheets of paper with writing on both sides. It “appeared to be a serious, well-thought-out dissertation” that, for reasons unknown, had been cut in half. ABC was only sent one half of the document . In response to letters like these, ABC’s MacKinnon developed a theory involving the phases of the moon. She told John P. Shanley of The New York Times that the bizarre letters (which she referred to as “off the beam correspondence”) sent to the network seemed “to reach a high point in the two or three days preceding and following the appearance of a full moon. It’s happened so often I’m sure there’s something to it.” All the oddball letters she received were promptly placed in a “full-of-the-moon” folder . Doctors Ben Casey and Kildare were often asked for medical advice. The guns carried by the Cartwrights on Bonanza were coveted by some writers, as was Jane Powell’s phone number . One avid viewer sent a poem about their favorite show: “Roses are red, tires are black, if you take Gunslinger off the air, I’ll stab you in the back” . Another pleaded for more baby girls, insisting that women on television always had boys . A boy living in Ghana requested photographs of current television stars and offered to send a monkey skin in return . Not all letters included requests. In April 1961, MacKinnon told The New York Times that “the profane and obscene mail keeps diminishing all the time. And the critical mail is more intelligent and thoughtful than it used to be. Most of those who write sign their names and addresses” . By December 1967, it was suggested that the intelligence of mail was increasing because viewers had woken up to the fact that the shows they loved were being cancelled because nobody wrote about them . 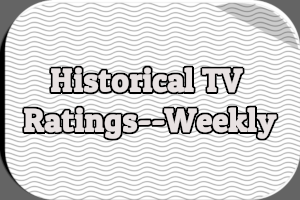 The number of letters written to the networks ebbed and flowed with the television season. The most mail came in during the start of each new season and the fewest letters received during the long summer months . The largest number of letters and phone calls ever received (as of December 1967) by NBC was 198,000 during 1954 . That compared to 175,000 during 1960 (145,000 letters and 30,000 phone calls) and 187,000 during 1967 [25, 26]. In 1961, ABC received 750 letters and several hundred phone calls each week . Of the 12,581 phone calls the network received from May 1960 to May 1961, only 642 were complaints and just 290 were “serious enough to bring to someone’s attention” . 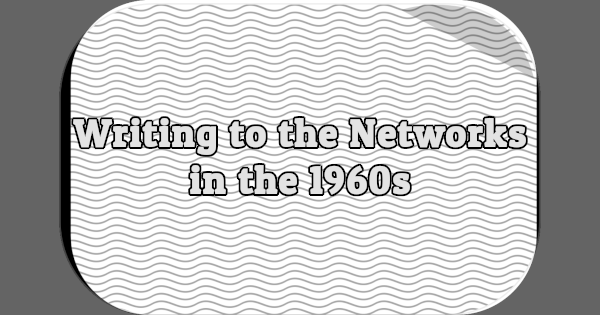 In 1965 the network was sent between 450 and 700 letters per day in . Being sent hundreds of letters or receiving hundreds of phone calls wasn’t always seen as representing the thoughts of the average viewer. For example, the 899 phone calls to WABC-TV in New York City complaining about a broadcast of The Raven apparently all came from students attending the same Catholic school and thus were believed to be the work of one of their teachers and not reflective of the average viewer . Likewise, the 10 million postcards distributed by the Methodist Church to more than 39,000 churches, to be sent to all networks, weren’t “studied” . According to Spinrad, CBS “might treat five letters from the Bar Association more seriously than a hundred letters from fans involving the death of a certain show” . And fans did send letters lamenting the death of their favorite shows. NBC received 5,049 letters in response to the cancellation of The Pinky Lee Show (presumably his 1954-1957 daytime children’s show), 9,879 when it cancelled The Americans in 1961, 10,304 when NBC Matinee Theater was taken off the air in 1958, and 10,563 when Noah’s Ark was pulled in 1957 . These days, writing letters to the network has been replaced by e-mail, texting and Twitter. Online petitions are set up to save just about any show that is cancelled. Save Our Show campaigns, though ineffective, can be quickly organized online without any letters being mailed. So do the networks still have mail departments? Are there still oddball folders filled with bizarre letters from viewers? And what became of the hundreds of thousands of letters mailed to ABC, CBS and NBC during the 1960s? 1 Lohman, Sidney. “News and Notes on Television.” The New York Times. 22 May 1949: X9. 4 Shanley, John P. “Soft Answers to Hard Questions.” The New York Times. 9 Apr. 1961: X15. 5 Reed, Rex. “Reading Between the Lines.” The New York Times. 16 May 1965: X12. 7 “Letters…We Get Letters.” Television Magazine. Sep. 1961: 56-57; 78-79. 22 Humphrey, Hal. “TV Networks Get Mail From Home.” Los Angeles Times. 7 Dec. 1967: D23. 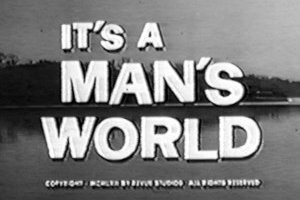 The most famous letter-writing campaign to a network in TV history came in the early weeks of 1968. NBC got flooded with some one million pieces of mail (including several thousand petitions) after rumors floated that “Star Trek” would be cancelled. In the end, the series was renewed for a third season (although supposedly, NBC was going to renew it anyway). but moved it to Friday nights at 10 P.M. Eastern time, which in those pre-DVR days, was the “kiss of death” for the show since so many of it’s viewers (those between 15 and 35 years of age) were nowhere near a TV set at that hour. In 1969, NBC cancelled “Trek” and reportedly got another million letters, these new ones protesting the cancellation.